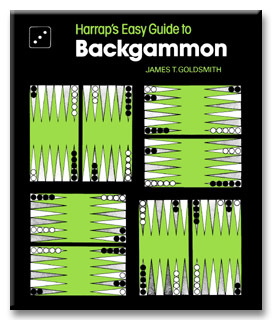 COVER: Harrap's Easy Guide to Backgammon is the most straightforward possible explanation of this exciting game. A simple introduction to backgammonmakes the game instantly accessible to all. Contains easy explanations of the rules in logical sequence. Sample games with over 100 diagrams and move-by-move analysis. Original system of numbering replaces complex inner-outer board division. AUTHOR: James T. Goldsmith is a lecturer in English Literature at the University of Florida: he has developed his backgammon-teaching method by playing with computers.